Prior to the 2013 ESPYs, ESPN held their 5th annual ESPN Body issue party last week in Hollywood, California. The event brought out athletes from all genres of sports celebrating the release of the latest ESPN Body issue. Let’s take a look at some of the style from the evening, whose chic attire caught your eye? . Cortez Allen (Pittsburgh Steelers) dressed in all white, adding a pop of color to his look with highlighter yellow sneakers. QB Russell Wilson (Seattle Seahawks) elected to keep his wardrobe simple, clothed in a shiny black suit paired with a crisp white collar shirt. 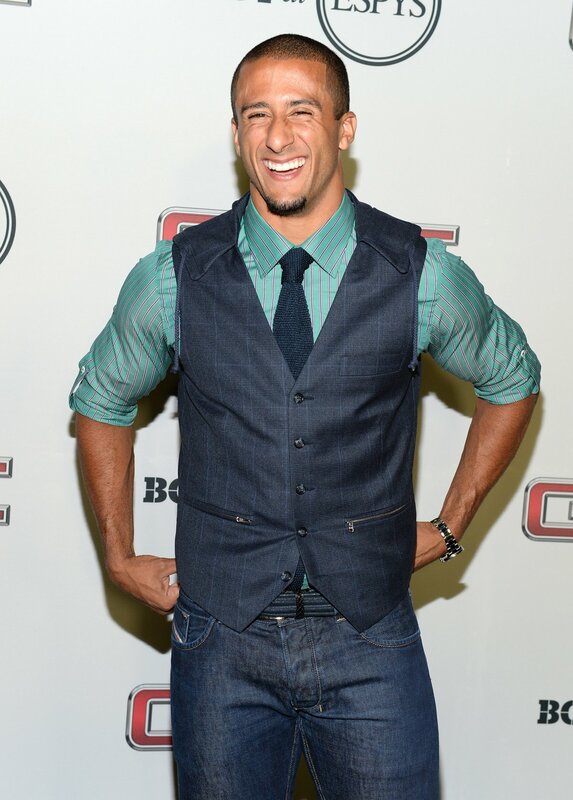 QB Colin Kaepernick (49ers) played with patterns as he enrobed in windowpane waistcoat, yoked with a pinstripe shirt, and knit necktie. 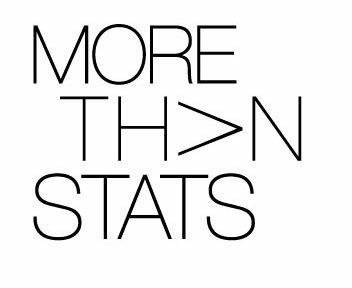 Nice combination. Alex Morgan (US Womens Soccer) was all smiles in a multicolored top she completed with a leather mini shirt. 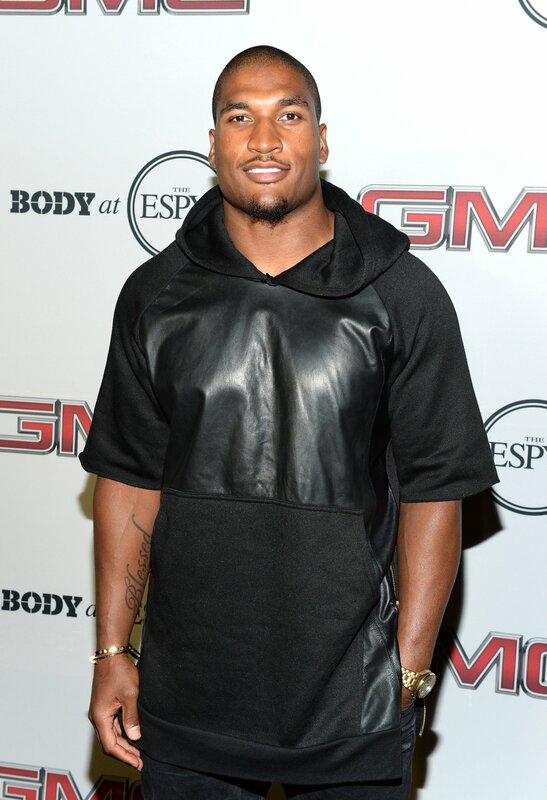 NFL baller Larry English (San Diego Chargers) rocked a edgy $795 Fear of God short-sleeve hoodie with leather accents. Very cook look, definitely something I can see rapper Kanye West wearing. Minnesota Vikings QB Christian Ponder spruced up his ensemble with a preppy polka dot bowtie. I wasn’t too fond of Christian’s choice of shoes though. I would of went with a nice pair of brown leather loafers. 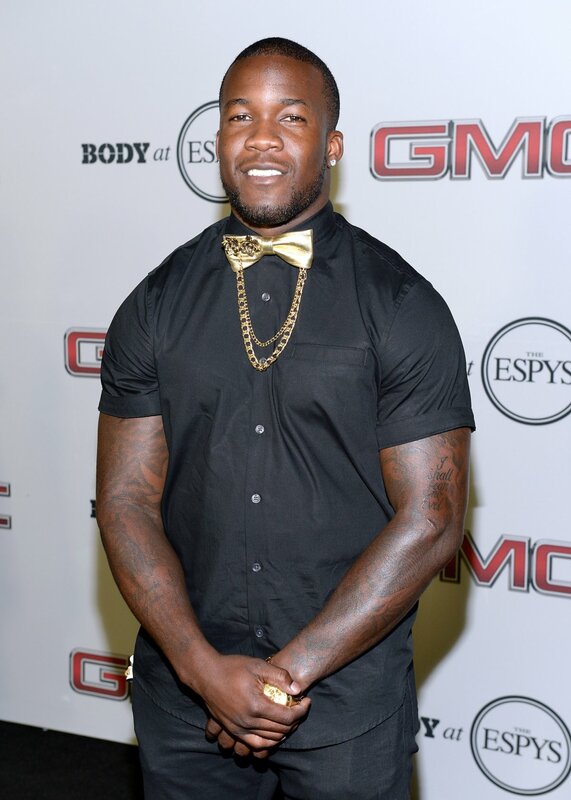 Ronnie Hillman (Denver Broncos) demonstrated his fashion-forward style with a unique gold chain bowtie. 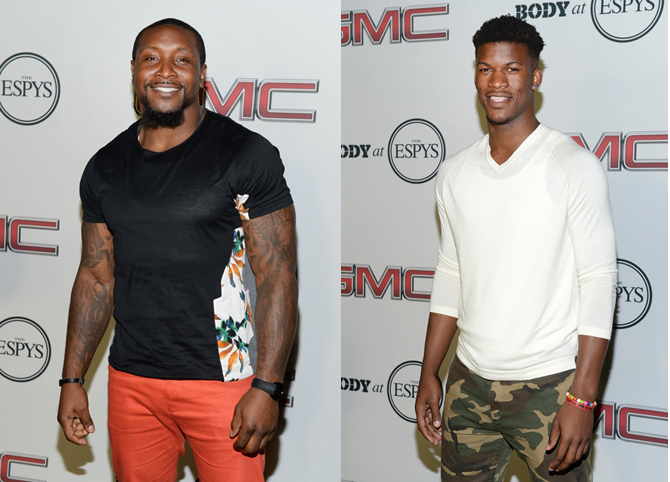 Navorro Bowman (49ers) wore a bold pair of burnt orange pants, as Jimmy Butler (Chicago Bulls) elected for a trendy pair of camo trousers. 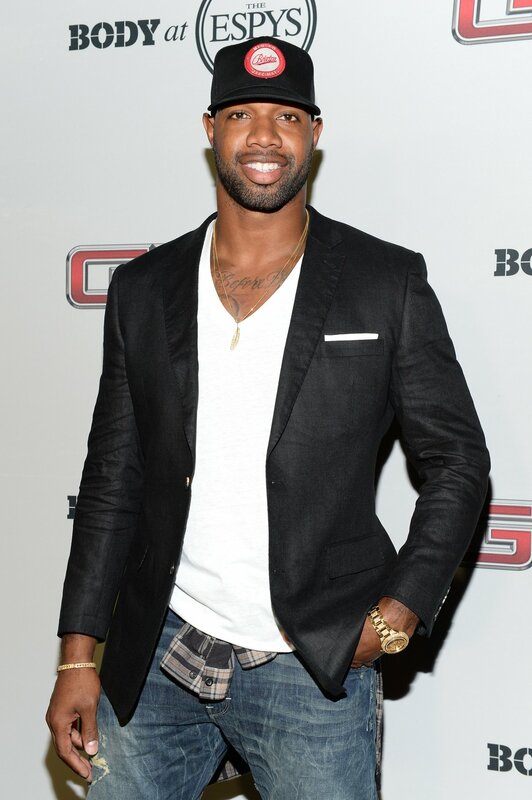 Marcedes Lewis (Jacksonville Jaguars) added a youthful twist to formal wear dressing down a blazer jacket with a fitted cap, destruct denims, and a shirt tied around his waist which gave his look a punk-rock feel. Courtney Force (Nascar), Hope Solo (US Womens Soccer), Swin Cash (WNBA), and Sydney Leroux (US Womens Soccer) all looked fantastic in their fashionable frocks.